Many hunting shows tout the effectiveness of a strutting decoy. The footage often shows enraged gobblers attacking a fanned-out decoy. Sometimes the birds even sprint in to start a fight. But strutter decoys are not guaranteed to put a gobbler in your lap. The popular consensus seems to be that strutting gobbler decoys offer about a fifty-fifty chance – 50 percent of the time a gobbler will see the strutter decoy, spook and run for the hills; but the other half of the time, a gobbler will come in completely obsessed with the decoy and oblivious to you. When strutter decoys do work, it’s like magic and great fun to watch. And in the turkey hunting game, fifty-fifty odds are pretty good. With that said, there are a few key factors that will bring you more success when using strutter-style decoys. Just a few years ago, few hunters used strutter decoys. The majority opinion was that a big, strutting turkey decoy would scare off real gobblers. Truthfully, the few examples that were on the market probably did scare the heck out of a lot of turkeys. The decoys of yesteryear were bulky, awkward and looked fake. But today's turkey decoys look extremely real. They feature anatomically correct body posture, shadowing texture, precise color schemes and colored highlights from special painting processes. Today's decoys are also manufactured using expertly carved molds made directly from the body parts of real turkeys, which allows for an even more detailed and lifelike appearance. Add to that taxidermy eyes, synthetic beards and true-to-nature tail fans made from high-resolution photography. With many decoys, you can even add a real tail fan for more lifelike effectiveness. Bottom line: For a strutting gobbler decoy to work, it needs to have a high-quality appearance. If your gobbler decoy doesn’t look real, don’t bother bringing it in the woods. “My favorite time to use strutter decoys is the first part of the season,” Miller says. “A lot of gobblers are running together, and they’re like a bunch of kids on the playground. They are confident in numbers, and will try to whip anything in the area. “When using a strutter decoy in the early season, you’ll often see groups of gobblers approach your setup. I will sometimes also put a satellite jake decoy about 10 yards off to the side of a tom and hen, just to give my setup a realistic look. This might encourage others to join the party. Chris Parrish, calling champion, expert turkey hunter and pro staffer for Knight & Hale Game Calls, agrees with Miller. As for trying to figure out where the gobblers are in the breeding timeline, here’s a good rule of thumb: If your tom decoy is scaring off potential gobblers, insert a jake fan instead. A strutting jake doesn't intimidate a mature gobbler, and will often provoke him to come in. When setting up a strutter decoy, keep these factors in mind. As Parrish mentioned, there are two ways to set up a strutting decoy. You can place it behind a breeding-position hen (hen with belly on ground), or stand the strutter right next to a submissive hen. 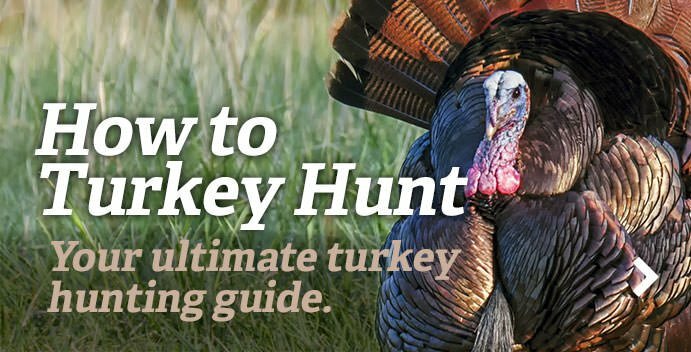 While it’s true that using a lone strutting gobbler might give off the natural assumption that a hen is nearby, you should always give visual proof. Miller does it a little differently. When it comes to deciding where to set up your strutter decoy, there are three common scenarios. Put your strutter decoy where it can be seen from as many areas of the field as possible. “I like placing them on a high spot or just off a bend in a field edge so they can be seen from a distance in either direction,” Parrish says. Place your strutter in a highly visible spot along a lane or an intersection of trails. Strutting is meant to be viewed by other turkeys, so find a place where turkeys can see your decoy. Add movement to your strutter decoy, and you will achieve more success. Big toms will be able to see your decoy move, and will believe that it’s real. Some full-strut gobbler decoys feature a tail fan that moves in a lifelike manner when you pull a string. The tail fan raises and lowers from full strut to 3/4-strut to flat. The Bob’n Tail Turkey HD by Carry-Lite is a good example of this type of decoy. Many decoys are also equipped with a stake that sways the decoy with a slight breeze. Having your decoy move in the wind adds a tremendous amount of realism to your setup. But wind is often unpredictable. It can sometimes be so strong it spins your decoy like a pinwheel, or so weak that it does nothing at all. Instead of hoping for the right wind, use a motion device decoy (see sidebar). This will put the power of movement in your hands. Note: If the wind will allow it, a good rule of thumb is to face decoys toward you. This should bring the gobbler even closer to your shotgun barrel or broadhead. A gobbler will typically maneuver to look the decoy in the eye. With a motion device decoy, you can face a decoy toward you even if the wind doesn't quite cooperate. Decoy motion communicates messages to other turkeys through body language. Early in the season, gobblers are still fighting to see which one is the dominate bird. If you’re using a strutter decoy with a small tom or jake tail fan, and a big tom comes on to the scene, rotate your decoy to face the tom. This action tells the tom that the decoy wants to challenge him. Chances are good that he will come in for a fight. Or, if the real gobbler is hanging back from your setup, it might be because he considers himself a subordinate and is scared of confrontation. Rotate your decoy away from him so that the tail fan is facing the tom. This move will signal to the bird that your decoy is the subordinate bird. The gobbler might gain the confidence to get closer. There is definitely a time and place for using strutter decoys in the spring woods. Just keep those factors in mind for a greater chance of success. The concept of a strutting decoy makes sense and it works when used at the right time in the right manner. Once a gobbler is locked in on a strutter decoy, it’s tough to break his concentration. So take your time, enjoy the show and make a good, clean shot. The strutter is 18 inches tall, 15 inches wide, and 15 inches beak to tail. It represents a bird of about 18 pounds and features a true-to-nature color scheme. Per customers’ requests, it doesn't come with artificial wings or a tail fan, so you can add your own real ones and display him as a tom or jake. The decoy is made from A.C.E (Advanced Crosslink Elastomer), a hard-body material that is extremely durable and holds its shape and paint extremely well. www.davesmithdecoys.com. This gobbler decoy uses high-definition imagery to produce an incredibly realistic “skin” sculpted from a polyester/Lycra material to help the sunlight reflect its vivid colors and show off the detailed contours and texture. The full-strut decoy features a patented tail that moves in a natural, lifelike manner. Killer B is an updated version of the B-Mobile. The paint scheme has more iridescent colors in the body and more red in his head. The decoy also features glass eyes from a taxidermist and a natural posture to make him look more like a strutting gobbler. His movement is in his tail fan: with a pull from a string the tail fan raises and lowers from full strut to 3/4-strut to flat. www.primos.com. This compact, innovative device uses a small disk-and-pulley system to impart realistic hunter-controlled motion with a pull-string and handle. It works great, especially in states that don’t allow electronic decoys. Once a decoy is secured, it can be swiveled in a 360-degree arc. The Lifeline 360 is compatible with most of today’s gobbler or hen decoys. www.zinkcalls.com. STRUTT’N 360 BY RJ DUNKIN CO. This remote-controlled decoy stand is an electronic device that produces quiet and lifelike strutting rotation motions from up to 120 feet away. The durable and waterproof stand is battery powered and is operated with a compact keychain controller for a full 360-degree turn-around motion, or a quick burst to change which direction the decoy is facing. It sets up quickly and its stake system accommodates a variety of turkey decoys.